Admission to the Master of Interior Architecture degree program requires a 4-year bachelor’s degree with a minimum 3.0 GPA and the completion of the 82 prerequisite units (Certificate/Foundation Level) or equivalent with a minimum 3.0 GPA. We welcome students from varied academic backgrounds, including non-design disciplines. A bachelor’s degree in interior design is not required for admission into the Master’s program. Applicants with no previous study in interior design or architecture must complete the Foundation Level prerequisite classes before applying to the Master’s level. The 82 prerequisite units are offered through the Interior Design Certificate curriculum. 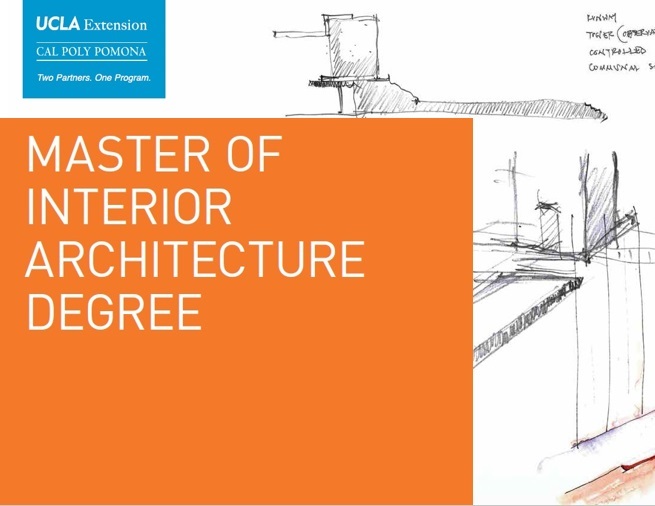 Applicants who do have an undergraduate degree in interior design, architecture, or similar design-related field may be eligible to bypass the Foundation Level prerequisites and apply directly to the Master’s level. Before applying to the program, a transcript evaluation by our Program Advisor is required in order to qualify for Advanced Standing. Unofficial transcripts can be used for this review process. Click here to schedule an appointment with the Student Advisor or call (310) 794-3747. Please submit your application online. The CSU application for graduate admissions can be found at (https://www2.calstate.edu/apply). If you have questions, please refer to this guide. 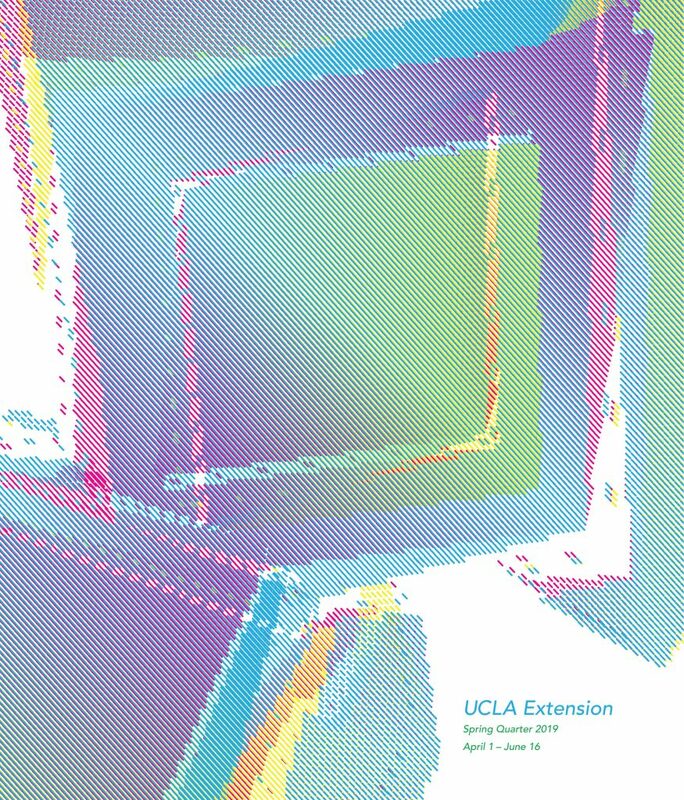 Please note that you must forward a copy of your completed application to UCLA Extension. Cal Poly Pomona accepts electronic transcripts through eTranscripts California, SPEEDE and Parchment. Emailed transcripts cannot be accepted. If you have received a degree from an institution outside of the United States, you must send an official paper copy along with a certified translation if in a language other than English. UCLA Extension Certificate Program official transcripts can be ordered here. The score cannot be more than two years old. Upload a copy of your score in the “Program Materials” section of the application. You must contact ETS to have your official TOEFL score released. Paper copies are not accepted. The TOEFL code needed from ETS to send your score to Cal Poly Pomona is 4082. Explain your interests, motivations and goals in pursuing a professional degree. This should not exceed 750 words. Upload a PDF copy in the “Program Materials” section of the application. Three recommendations are required and should be submitted by individuals in a position to assess your potential in the interior design profession or in a Master’s level academic program. All recommendations must be submitted electronically using the portal in the application. It is your responsibility to ensure that recommendation requests are received and completed on time. Applicants will not be notified about missing recommendations. Failure to receive three complete letters will prevent you from submitting your application. Please inform your recommenders that communication will be sent from (calstateapply@liaisoncas.com). If you have questions, please refer to this guide. Your portfolio must include visual work illustrating your creative or analytical abilities in written, graphic, or mathematical form. 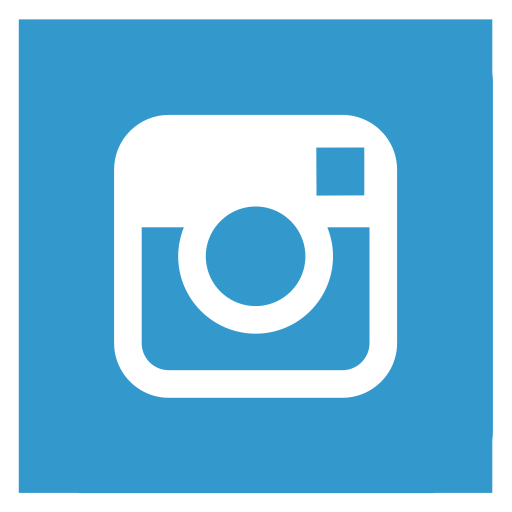 Upload a PDF copy in the “Program Materials” section of the application. Please note that the portfolio cannot be larger than 15 megabytes. A $55 non-refundable filing fee must be paid at the time of application submission. Payments are accepted by credit card (VISA, MasterCard, and AMEX) or PayPal. To download a copy of your completed application, login from www2.calstate.edu/apply and select the “Check Status” tab. You will see a download icon. In preparation for the I-20 process, please see the following link for the requirements pertaining to your visa: (https://www.cpp.edu/~international/students/incoming-students/f1-visa-i-20.shtml). Cal Poly Pomona’s International Center will be in contact with you upon admission into the program.